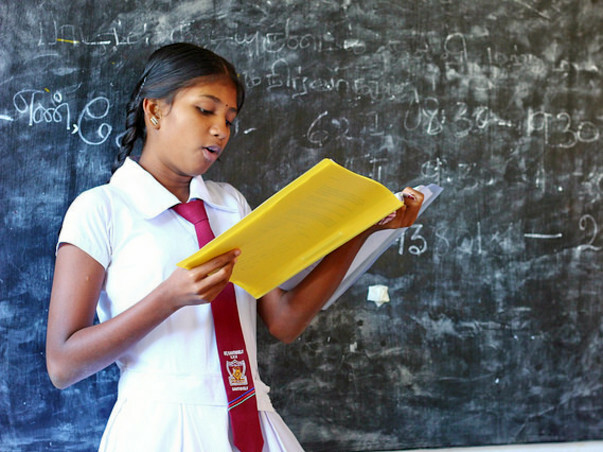 Sharanga is a Grade 10 student in a village school in Karuwakerny, Batticaloa. She is bubbly and highly expressive when conversing in her native language, Tamil. She desperately wants to finish school and enrol herself in a university to study accounting, but she acknowledges her major shortcoming – English. In spite of its rich history and stunning coastlines, the district of Batticaloa in the Eastern Province of Sri Lanka is one of the poorest regions in the country. Having been devastated by the Tsunami of 2004, this post-conflict zone is now gradually developing itself. Sharanga is one of the many students in nearby villages who face the challenge of same language-barrier, making tertiary education a far fetched dream. We can work together to change this situation. Workshops in speaking basic English confidently and being unafraid to make mistakes are conducted for these village students annually by undergraduates from Singapore. Teaching materials are devised based on an analysis of the curriculum in the villages and the teaching methodology employed in Singapore. At a cost of about 50 Singapore Dollars per student, we can provide students from villages with an important tool to further their education.